I’ve been enjoying learning a little bit more about the birth of flight as I prepare for Test Pilot in a few weeks. While most of what I’ve been learning has to do with what to sing or how to move, there are two things about the Wright brothers that really stick out to me. As they were trying to figure out this whole flight thing, they were working in their bicycle shop. They had been trying to figure out how to maneuver the plane once they were to get into the air. The solution that they ended up using was arrived at by simply playing around with the box from a tire inner tube. (The process is called “wing warping.”) Not only did they arrive at the solution by just noticing the world around them, but they were solving problem C before they had even passed problem A. They were open to finding a solution before they even needed it. They were dreaming. And they were planning on their dream coming true. The second thing that really inspired me this week is about an equation – the all important equation for lift. They were finding all of these dead ends in their attempts to solve it until they realized that part of the equation – which had been “proven” to be the case – was actually false. 1. Plan ahead. Don’t get caught up in the problems of today such that there is no energy to dream about solutions for tomorrow. 2. Question. Question the status quo. Don’t let the “rules” by the experts keep you on the ground. 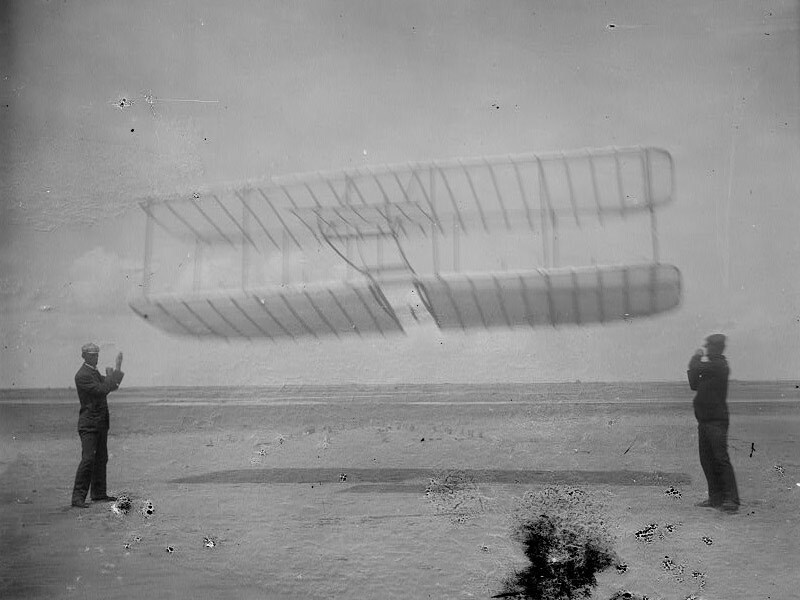 “Wright-Glider-LC-DIG-ppprs-00571” by (unknown) – http://lcweb2.loc.gov. Licensed under Public domain via Wikimedia Commons.